In the State of Florida, there are many stages in the criminal process. From the initial stop through the entire process, you are entitled to certain rights. An experienced Daytona Beach criminal defense attorney can guide you through every step of the criminal process and ensure that your rights are protected. If you have a pending criminal case in the Daytona Beach, Volusia County, Flagler County, St. Johns County or Central Florida area, Carol Lee Peake, has the experience you need to make a positive difference in your case. The criminal process begins when you are stopped or arrested. When you are stopped for questioning by the police, it is important for you to understand you are not under arrest, and that you have certain rights. You have the right not to answer any questions the officer asks you. The officer is also not allowed to search your vehicle without your consent, unless he has probable cause. 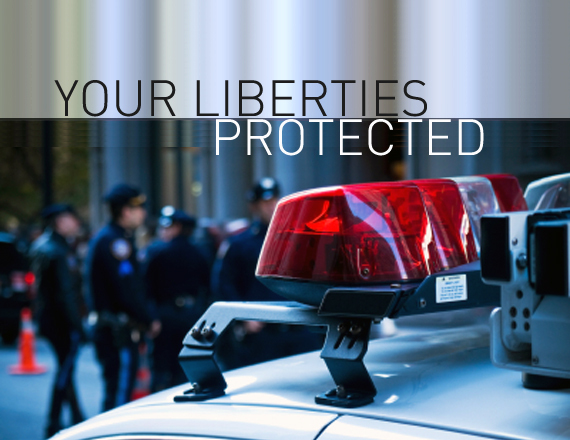 When you are placed under arrest, you are taken into police custody, and the police are obligated to inform you of your constitutional rights, which include the right to remain silent, and the right to an attorney. You should be given the opportunity to contact an attorney as soon as possible, without restrictions on the number of calls you need to make. You also have the right to be charged with a crime within a reasonable amount of time. Your Daytona Beach criminal defense attorney can ask a judge for your release if you have been held without being charged for an unreasonable period of time. The next step after being charged is booking. This involves taking your fingerprints, entering your charges into the police records, and taking and inventorying your personal belongings. At that time, you may be released with an order to appear in court for your hearing, you may be required to post bond to secure your release, or you may need to remain in custody until a court hearing. This process varies greatly depending upon the charges against you and any previous charges or convictions. At the court hearing you will be asked to enter a plea of either "guilty", "not guilty", or "no contest". If you plead "guilty" or "no contest", there will not be a trial. You will be either sentenced immediately, or at a future hearing. The judge will also decide if you are to remain in custody at this time, or be released until your sentencing. If you plead "not guilty", your case will proceed towards a trial. If you are found "not guilty" at the end of your trial, you will be released and the criminal process will be over for you. If you are found "guilty" you will then face sentencing. If there are grounds, you may be able to appeal a criminal conviction. There are many variables that can affect the outcome of a criminal case. A qualified Daytona Beach criminal defense attorney is invaluable in assisting you through the criminal process, and achieving a positive outcome. I have been contacted by a law enforcement officer who wishes to speak with me. What should I do? Until you have retained an attorney who has advised you otherwise, do not speak to anyone. Please exercise your constitutionally guaranteed right not to incriminate yourself. Do not answer any questions. Even when law enforcement has approached you in a 'friendly' manner, you should not answer questions or engage in conversation of any kind. Obviously we all want to defend ourselves when accused of a crime or asked about wrongdoing. However, the statements in which you deny wrongdoing are inadmissible in court. On the other hand, the statements you make which are viewed as incriminating are allowed to be admitted. Generally your denials can not be put into evidence while your admissions come in. It is my experience that the majority of clients who incriminate themselves do so in the course of trying to explain or justify their actions to law enforcement. Regardless of whether you hire or even contact me, I urge you to resist the temptation to speak to law enforcement unless you have been advised to do so by an experienced Daytona Beach criminal defense attorney. One should never discuss his or her case with anyone else. This includes family members, friends, reporters, cellmates and probation officers. All of these people can be compelled to testify against you by the State of Florida. Generally, a misdemeanor is an offense for which the maximum penalty is a term of imprisonment not exceeding one year while a felony is an offense for which the maximum penalty is a term of imprisonment which exceeds one year. What happens at a "First Appearance"? After being arrested the law in Florida requires that you be brought before a judge within 24 hours. A first appearance is generally a very short proceeding during which the judge advises you of the offense or offenses for which you have been arrested. The judge at the first appearance will decide if the police had sufficient grounds to arrest you. The judge will then decide if you will be released on pretrial release, and if so, under what conditions. Unless you are directed to speak by your Daytona Beach criminal defense attorney at first appearance, you should remain silent on all matters with the exception of biographical information (name, date of birth, address). What is "Bail", "Bond" and "Pretrial Release"? These three terms overlap in Florida. Pretrial release is the broadest term, it encompasses the monetary conditions of your release (bail/bond) as well as the specific conditions/prohibitions set by the court in releasing you back into the community from the county jail. Fortunately in Florida those who are arrested are legally entitled to bond unless they are charged with a capital offense or a violation of probation. Bond is a written guarantee or a pledge which is purchased from a bonding company acting as a security. Bond is designed to guarantee performance by the purchaser. The purpose of bond is to insure a defendant's presence at scheduled court appearances. A defendant who is arrested for an offense may be given, for example, a four thousand dollar ($4,000) bond. However it would also be common for the court to order that defendant to comply with specific conditions, such as submitting to GPS monitoring, refraining from the use of alcohol and avoiding contact with the victim and any witnesses. The monetary condition alone would be that defendant's bond; the monetary conditions along with the other specific conditions make up the defendant's pretrial release. In asking the court to set a bond amount which the defendant can afford, it is important to show the court that the defendant will appear in court. The factors involved in presenting these issues to the court include the offenses with which the defendant is charged, the strength or weakness of the evidence, the defendant's ties to the community, the defendant's criminal history, the source of funds from which bond will be posted and the risk of danger to the "victim." If the court has set a bond amount which the defendant and his family are unable to afford the defendant may ask the court to reduce the bond amount. It is very important to present the best possible facts and argument at the initial bond hearing - multiple bond hearings are prohibited by the rule unless there are significant changes in circumstances. Daytona Beach criminal defense attorney Carol Lee Peake can assist you with your bond hearing. Following an individual's arrest, the prosecuting authority (most often the Office of the State Attorney) reviews law enforcement's description of the incident which led to the arrest. The Office of the State Attorney had the sole discretion to decide whether or not to file formal charges and exactly which formal charges to file. Often the Office of the State Attorney concludes that the events reflected in law enforcement's account of the incident do not rise to the level of a crime. The Office of the State Attorney may also conclude that the events reflected in law enforcement's account of the incident amount to criminal conduct less serious than the offense which was charged by law enforcement. This period of time in which the Office of the State Attorney is considering these issues specific to a defendants case is CRUCIAL. It is not unusual for an experienced criminal defense attorney to successfully intervene with the Office of the State Attorney and sway that office to either forego filing formal charges or to file only a lesser charge which is more appropriate under the circumstances. Without an attorney who is familiar with this courthouse framework, a defendant simply does not have a voice in this process during this critical period. The absolute worst case scenario for a defendant is to remain unrepresented during this time-frame and to therefore be charged with the most serious possible offenses. All future negotiations will be held from that point on with the defendant at a disadvantage. If you have been arrested in the Daytona Beach or Central Florida area, contact Daytona Beach criminal defense attorney Carol Lee Peake today for an evaluation of your case. The Office of the State Attorney must file formal charges within 180 days of the defendant's arrest. If a defendant is in jail and has been unable to afford bond, the Office of the State Attorney has 30 days from arrest to file formal charges. If formal charges are not filed within 30 days, and after notice to the Office of the State Attorney, the court must order the defendant released on his own recognizance. What if the witnesses don't want to come to court? Even if a witness (or several witnesses) do not want to testify against a defendant, the Office of the State Attorney may still prosecute the defendant on the charges. The law of the State of Florida gives the Office of the State Attorney this type of discretion to subpoena reluctant witnesses to come to court even if they should indicate that they do not wish to do so. Defendants who have retained an attorney prior to arraignment will probably have an attorney who will enter a written plea and waive arraignment on their behalf so that they will not have to appear. If a defendant has not retained an attorney who has waived arraignment on his behalf, he will be required to attend the arraignment. Arraignment is frequently the first court hearing scheduled following a defendant's first appearance. No evidence is presented at arraignment. Charges are generally read and defendants are required to enter a plea at that time. If a defendant has not retained a Daytona Beach criminal defense attorney prior to his scheduled arraignment he should plead not guilty and advise the court that he is planning on retaining a criminal defense attorney. The court will schedule a subsequent date at which the defendant or the attorney he retains will have to appear. Is it always necessary to appear in court? Following arraignment, whether or not a defendant has to appear in court depends on the type of case involved as well as the type of hearing scheduled in the courtroom. Oftentimes it is unnecessary for a defendant to appear at a routine court appearance if that defendant is represented by a retained attorney. Generally however, a defendant should appear at all scheduled appearances unless specifically informed otherwise by his Daytona Beach criminal defense attorney. How is a case prepared for trial? The criminal defense attorney should meet with the defendant to go over the facts of his case. A criminal defense attorney should speak with the witnesses the defendant identifies to the attorney. Normally a criminal defense attorney will go over a copy of the charging document with the defendant. More often than not, criminal defense lawyers in Florida actively engage in the discovery process. In the course of prepping a case for trial a Daytona Beach criminal defense attorney will normally file the necessary discovery motions to obtain the State's witness lists, police reports, witnesses' statements, reports of experts and all other important facts in each case. Discovery depositions and other statements given under oath may also be taken from witnesses. It is normal for a criminal defense attorney to discuss the case with the assigned prosecutor in order to obtain an idea of the prosecutor's attitude regarding a defendant's case. The prosecutor may decide to dismiss all charges or to "plea bargain," which is to agree to a lighter sentence or drop some of several charges in a case, in exchange for a plea of guilty or nolo contendere (no contest). If the prosecutor offers a plea bargain to a defendant, the defendant's lawyer will inform him of it immediately, as there is an ethical duty to inform the defendant of any plea offers, even if the defendant has said he wants a trial regardless of the prosecution's offers. If you are still reading at this point and you want to get into specifics about what will occur at a trial you can begin by looking at the Standard Jury Instructions in Florida Criminal Cases. Instruction 2.1 sets out the general course of a criminal trial. As every criminal case is distinctly unique, each trial has its own distinct components which are not well suited for generalizations on this page. I encourage you to contact me and discuss your concerns as to the trial process. Having a criminal record can be both embarrassing and disturbing. Luckily, it may be possible to have your arrest record cleared at a later date by either a record sealing or expungement. However, the manner in which your case is disposed of may affect your eligibility to seal or expunge your record later. Daytona Beach criminal defense attorney, Carol Lee Peake, defends a wide variety of criminal charges which include: traffic citations, misdemeanors, felonies, probation violations, and injunctions. Facing criminal charges in the Daytona Beach and Central Florida area can be a frightening, confusing, and overwhelming experience. You may worry about what these charges could mean for you and your family. Will you face jail time? Fines? Probation? How can you possibly defend yourself? Remember, you have rights. You deserve to speak to a dedicated and experienced attorney who can help you reach a satisfying outcome. You do not have to face criminal charges alone. An initial consultation with Carol Lee Peake is always 100% free and 100% confidential. Carol also accepts all credit cards and payment plans are available. If you live in the Daytona Beach, Volusia County, Flagler County, St. Johns County or Central Florida area and are facing criminal charges, or even if you are just being questioned, contact criminal defense attorney Carol Lee Peake today. Carol has the experience and knowledge you need to guide you successfully through the complex stages of the criminal process.